Click on the images below to learn more about each ARC page. This is “homepage” for the ARC. From here you can navigate to all the other pages in the ARC. This page is where you input your patches from your LASS template. 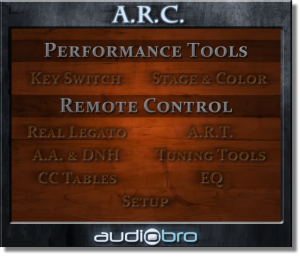 From there on, the ARC will keep track and simplify your workflow. 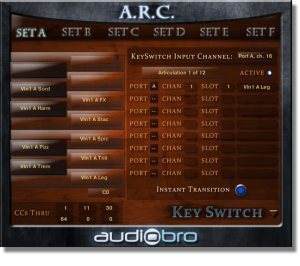 The Key Switch can do all sorts of powerful Key Switching which saves you time in production. 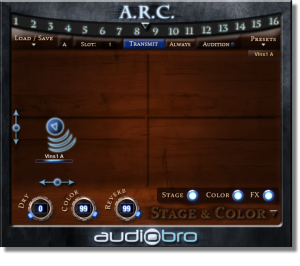 The Stage & Color feature has exclusive sonic profiles that allow you to sound like some of the most coveted scores right out of the box! 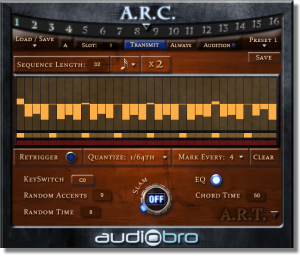 ART (Auto Rhythm Tool) allows you to play compelling rhythmic patterns on all your short articulations by simply holding down the sustain pedal. 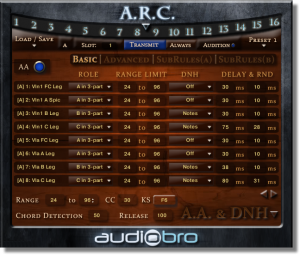 This page lets you remotely control one of LASS’s most powerful features: Auto Divisi and polyphonic legato combined with Delay and Humanization (DNH). 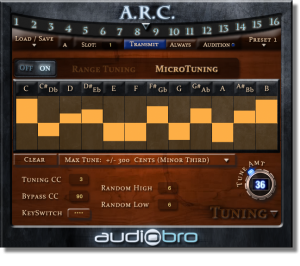 The Tuning Tool lets you create all sorts of tuning settings from subtle to extreme string effects. 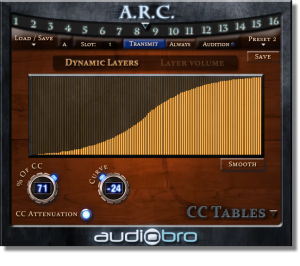 Dynamics are key to all musical performances. 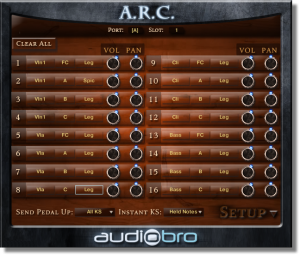 Here you can control the dynamic settings of all your patches in one place. 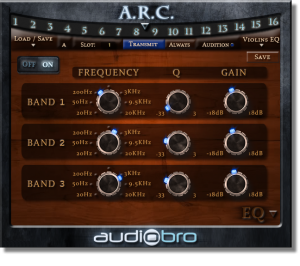 The EQ page allows you to assign your EQ settings to all the patches from one location.